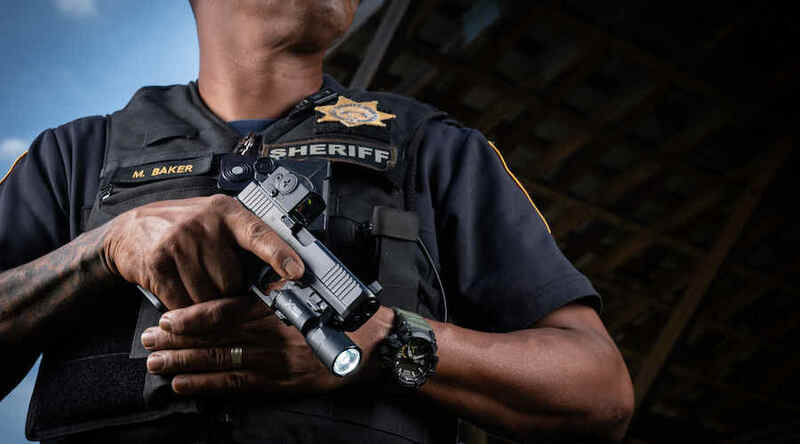 Aimpoint announced the arrival of their new ACRO P-1™ red dot pistol optic at SHOT Show 2019. The ACRO P-1 is specifically designed as a pistol optic, but Aimpoint has marketed the optic for a much broader use, including rifles, carbines, and shotguns. 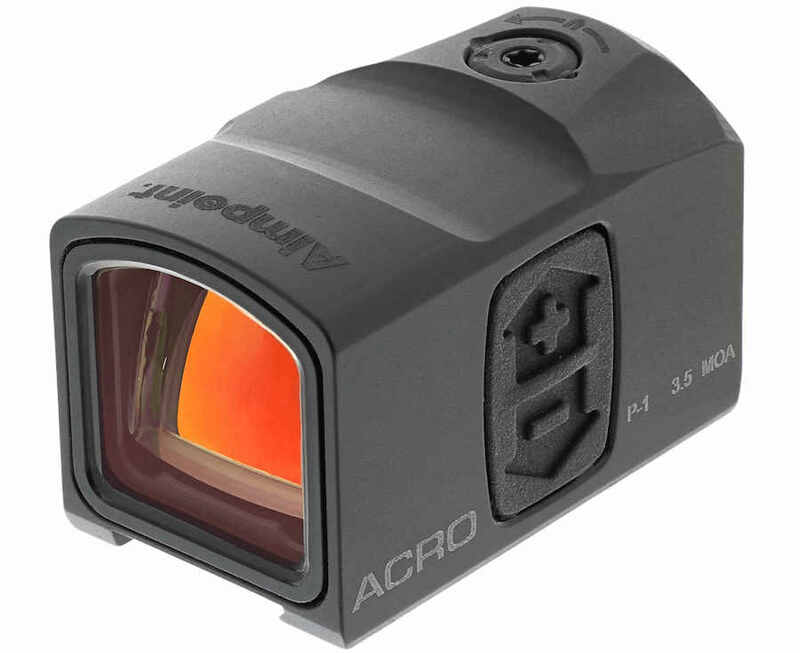 The ACRO P-1 is an enclosed box-style optic. As the original red dot optic manufacturer Aimpoint continues to set the mark for others to follow. With the proliferation of pistol-mounted optics the Aimpoint ACRO P-1™ provides another great option for professional and recreational shooters to consider. We’ll dive into the details of this optic and let you decide whether the ACRO P-1 meets your needs. The Aimpoint ACRO P-1 can be adopted on most optic-ready pistols. The Aimpoint ACRO P-1 optic is built around an anodized aluminum enclosed optical channel, presented in a sealed rectangular box design. By sealing the ACRO P-1, this optic is capable of being submersed down to 25 meters (82 feet) and still remain operable. The new ACRO P-1 is also smaller than Aimpoint’s previous P-1 pistol optic. This design provides complete protection for the signal between the emitter and the lens. Unlike other optics with a simple covered lens, like the Trijicon RMR or the Vortex Venom, the Aimpoint ACRO P-1 ensures rain, dust, or other debris cannot disrupt the sight’s operation. The ACRO P-1 delivers a 3.5 MOA red dot aiming point for shooters. The digital illumination adjustment switches are large enough to be manipulated even if the shooter is wearing gloves. Aimpoint is famous for the smaller red dot aiming points on their rifle optics, such as the 2.0 MOA red dot on the very popular Aimpoint PRO. However, a slightly larger red dot for a pistol optic actually makes perfect sense. The ACRO P-1 provides the shooter (10) illumination settings, and is NVD capable as well. is powered by a single CR1225 battery, providing up to 1-year of constant on power at setting 6 of 10. The battery compartment is completely sealed protecting the electrical components from the elements. Aimpoint designed the ACRO P-1 to allow batteries to be exchanged while the optic remains mounted to the firearm and without losing zero. The Aimpoint ACRO P-1 could be a great duty optic selection, with certain open-topped holsters. MSRP: TBA, in the $500-800 range (Shipping soon). Rifles and carbines can realistically be expected to make aimed, practical (body) shots using a red dot optic out to 300 yards. The smaller dots on rifle optics are necessary to avoid completely covering distant targets. However, pistols are a much closer range firearms, so the targets will be much larger in the shooter’s optic. 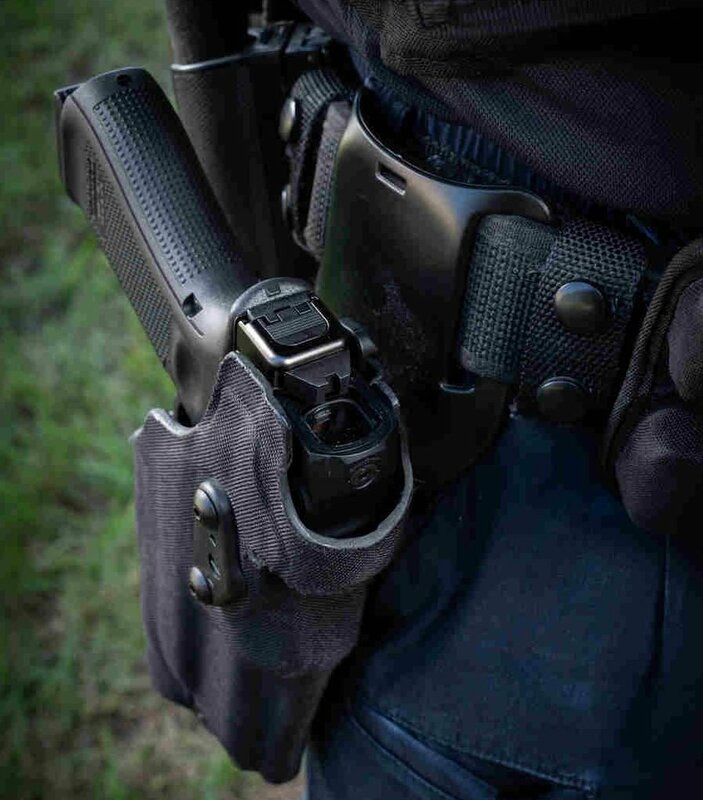 Having a larger red dot on a pistol-mounted optic gives the shooter a faster and more positive aiming point for those close quarters shooting moments. The new Aimpoint ACRO P-1 optic has already been torture tested and proven to be able to withstand firing a minimum of 20,000 rounds of .40 S&W ammunition without failure. In addition, the new ACRO P-1 optic was built to withstand the harshest environmental and temperature extremes. Aimpoint is arguably the best red dot manufacturer on the market. The original red dot maker continues to impress with modern options for long guns and pistols. The new ACRO P-1 appears to be superbly built for durability, and rapid follow-up shots in close quarters. The 3.5 MOA dot is a great size for handguns, or other firearms in close quarter shooting situations. Though the price tag will be a serious consideration for shooters, the performance and dependability of Aimpoint’s newest pistol optic make the ACRO P-1 a strong competitor in a quickly growing market. 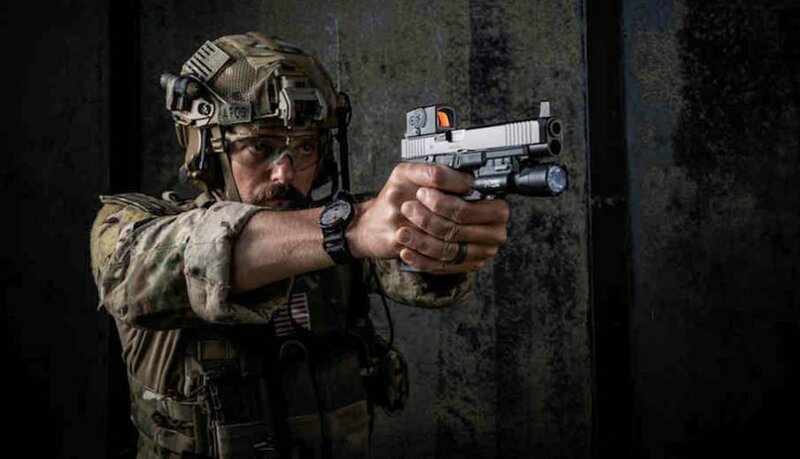 Pistol-mounted optics offer significant advantages over traditional 3-dot pistol sights. 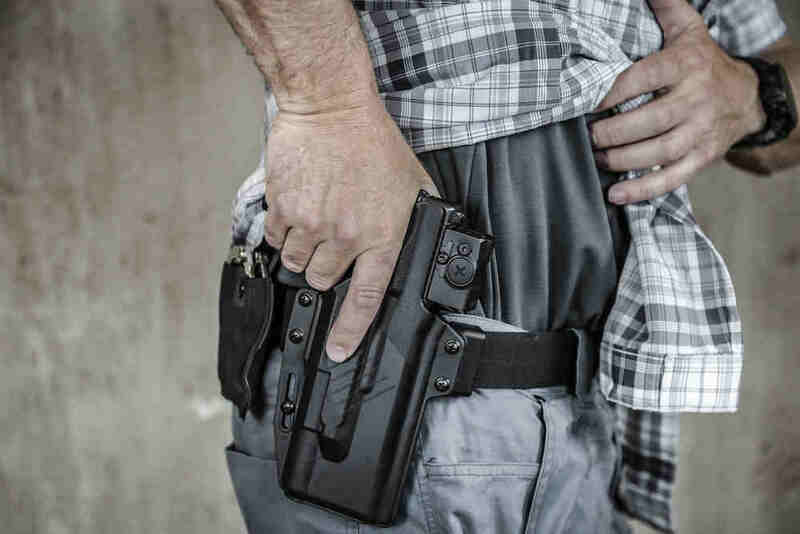 The Aimpoint ACRO P-1 is compatible with open topped holsters like the Raven.